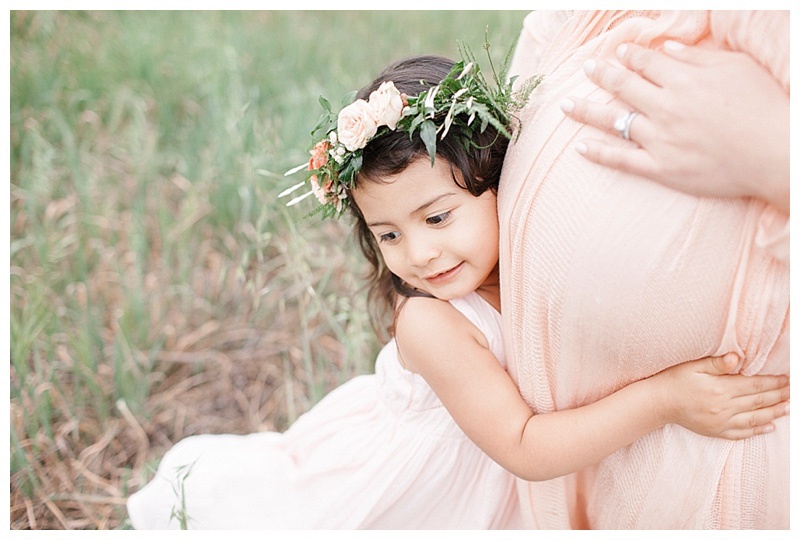 So many things to love about this outdoor maternity photography session in Orange County. 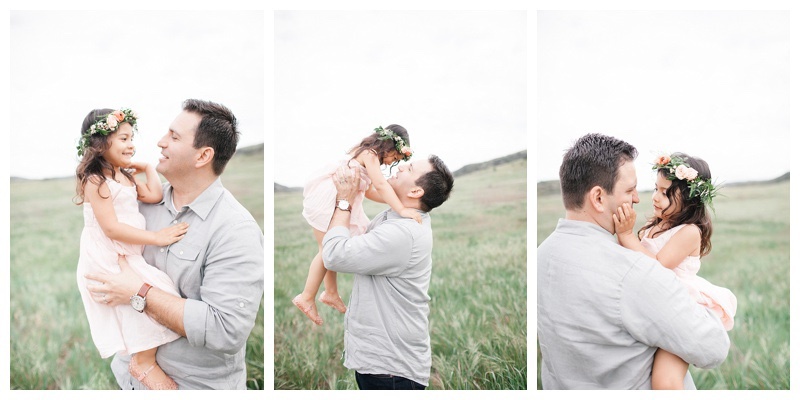 It was slighly cloudy out, which made the perfect diffusion, the tall spring fields are in full bloom all over my regualr spots in OC and Los Angeles that I do most maternity, family and baby photography- so its a favorite time of year for me when these fields make their debut! 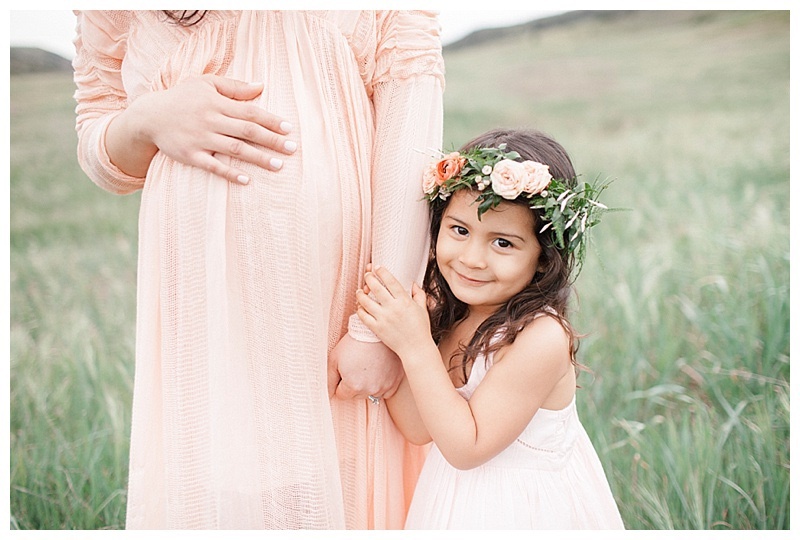 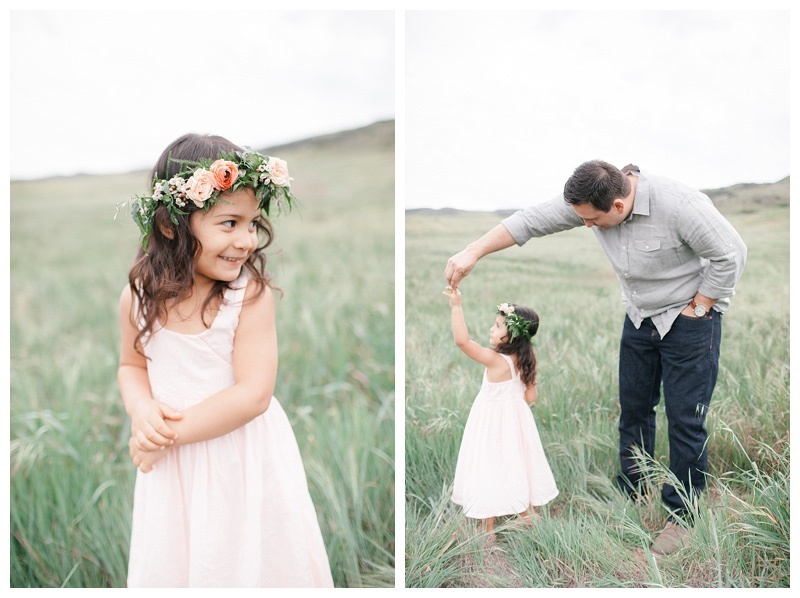 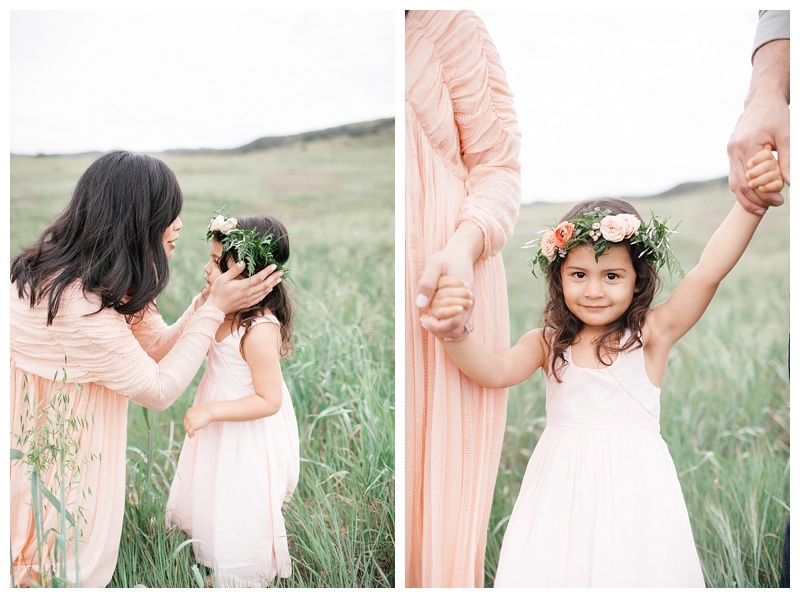 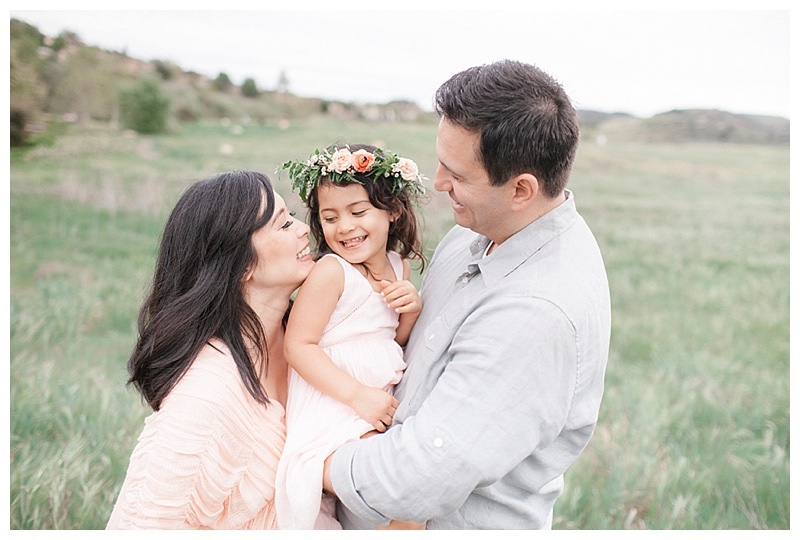 My gals over at Petals and Pop made the most gorgeous floral crown for this soon-to-be-big sister that was the perfect match to one of my favorite maternity gowns in my wardrobe I style my clients with. 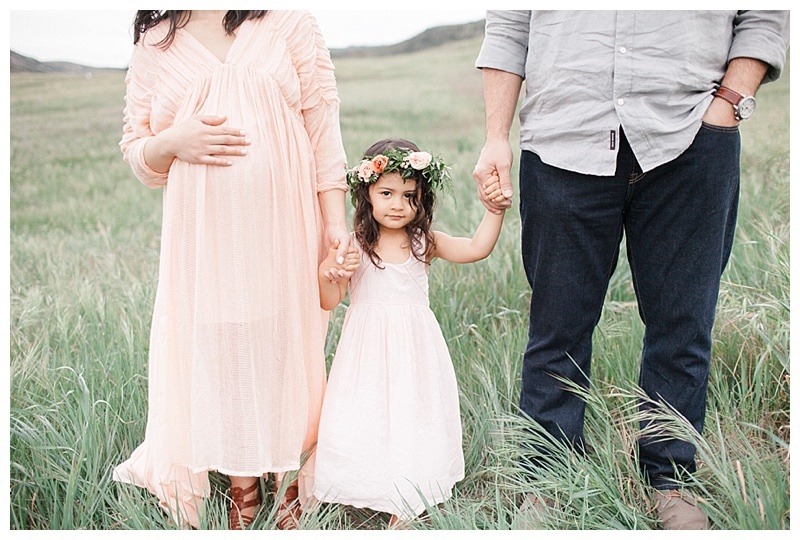 The color pallette was perfect this day, and these pinks in their outfits brought that subtle pop to the natural tones we were working with. 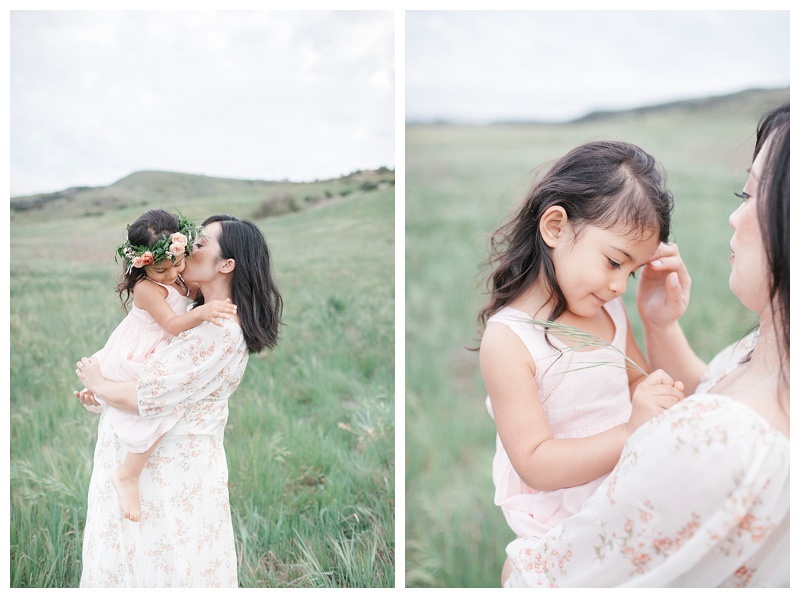 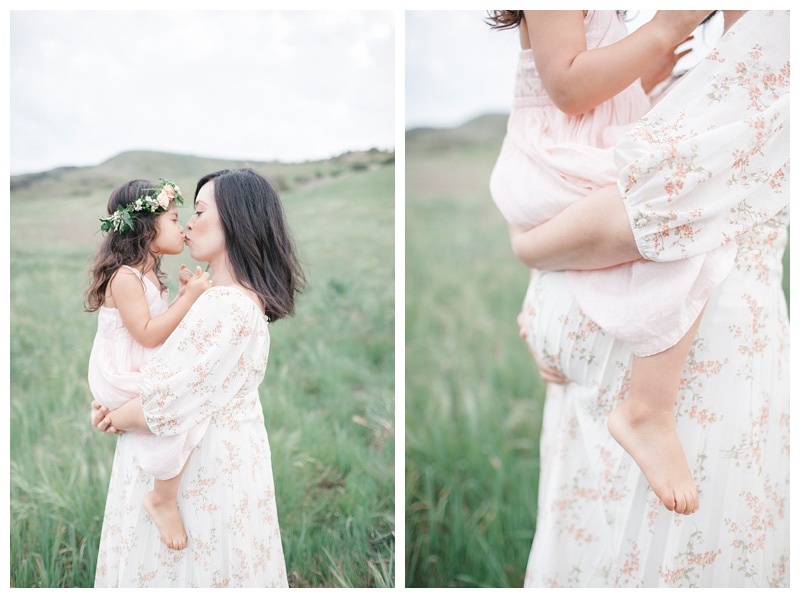 I could continue to gush over these, but Ill just stop here and let you look at some session highlights from this bohemian maternity and family photography session!